Over the years, Dan Garcia has been a huge help to us here in the Office of Advancement. He spoke at one of our big donor appreciation events, willingly appeared on a scholarship video and posed for the above photograph which appeared at many gatherings. One day stands out in his memory—and no wonder. For Dan it was one of those “wrenching-news-hits-you-like-a-ton-of-bricks” days. I asked him to start his story there. I was back home briefly from UIS after my freshman year. I had been hired as an orientation leader and would be returning for training in June. That first evening, my mom and dad sat me down in our small living room, and it occurred to me suddenly that it might be bad news. Did they need me to quit school and stay home to earn money for the family? My mother, who started working at the age of 15, took on a second job when her own father was laid off even though it ended up meaning she missed out on any higher education opportunities she could have had. My dad also worked hard for his family, coming as a youth from Mexico with his father and his two brothers to the US to work as mechanics and carpenters so they could send every dollar back to Mexico. Because of their experience, I thought staying home to work was something I should do as well. I quickly found out I was VERY wrong. On my dad’s face, I saw shock and disappointment and maybe a little pride as well. On my mom’s face, horror! Neither wanted me to put my future on hold. So we took out loans. I also took on part-time jobs to earn money: as a page in the House of Representatives, as a Student Ambassador at UIS and as an Orientation Leader over the summer. Mom also suggested that I contact the “Karens” in the UIS Capital Honors Program: Karen Coleman, recruiter and advisor for the program, and Karen Kirkendahl, then director of the program. Karen Kirkendahl worked her magic and helped me secure an additional scholarship. Her quick response sent me and my family a message that UIS and the Honors Program cared about me and would help when we needed it the most. Chancellor Richard E. and Carolyn J. Ringeisen Scholarship, which honors UIS’ former Chancellor and his wife, now living in South Carolina. I’m eternally grateful for my scholarships and for these donors. Whether scholarships are endowed or available as a one-time scholarship, students need every single dollar. I wish there were more scholarships, but I’m so grateful that extra help was available when I needed it. Graduate school and then a job I love! I graduated from UIS in 2013 with a degree in Political Science and then moved to Wisconsin where I earned a Master of Education from Marquette University. 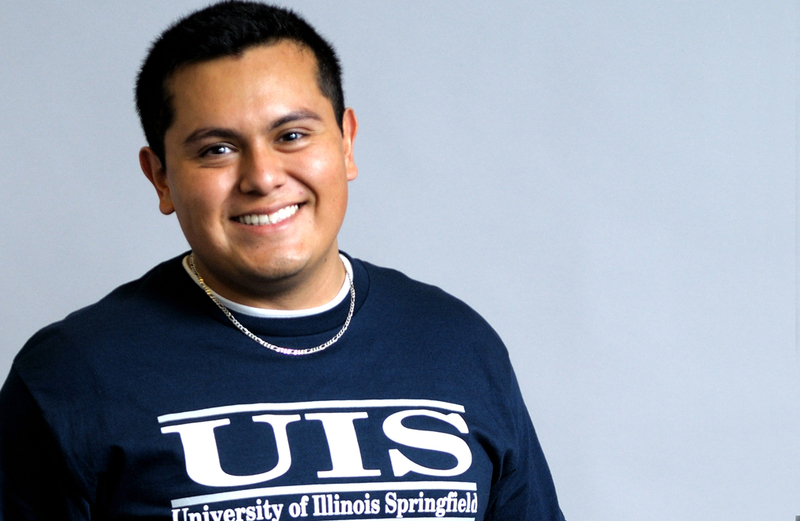 Probably because of the great experience I had working as an orientation leader and ambassador at UIS, I’ve wanted for a long time to join a university staff and work in some area of student services. So once I earned my master’s degree in College Student Personnel Administration from Marquette, I took a job briefly as Financial Aid Counselor at Cardinal Stritch University here in Milwaukee. As a financial aid counselor, I learned much more about how tough it us for students to pay for college. Currently, I am in my first few months of a new position as Admissions Recruiter for the Medical College of Wisconsin’s Medical School (MCW). I’ve already started traveling and making connections with prospective students and am really loving my work. MCW is undergoing some expansion/growth, and I’m very excited to be an integral part in it. 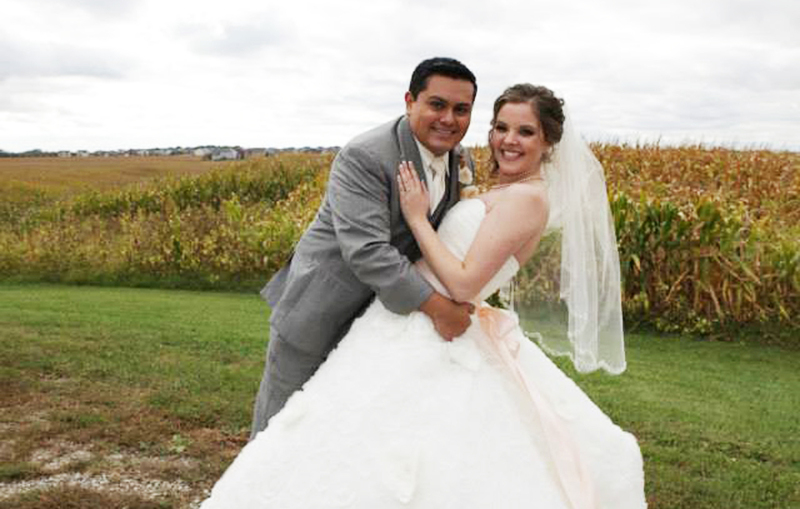 Dan and Shannon Szalinski came to UIS together after dating in high school. Four years later, after graduating, they moved together to Milwaukee. While Dan worked on his master’s degree, Shannon began work on her Master’s of Clinical Social Work at George Williams College of Aurora University in Williams Bay, Wisconsin. On October 4, 2014, Dan and Shannon got married. Shannon and I are “living the dream” of working hard to pay off loans and save up for our future. Every dollar that donors give saves students the burden of paying off loans and gives them a much better start after college. We’re aware of every dollar that we DON’T have to pay off because of donors’ generosity, and we’re also grateful for the help donors provided when I needed it most. Thank you, Dan, for writing this post! Chancellor Richard E. and Carolyn J. Ringeisen Scholarship.